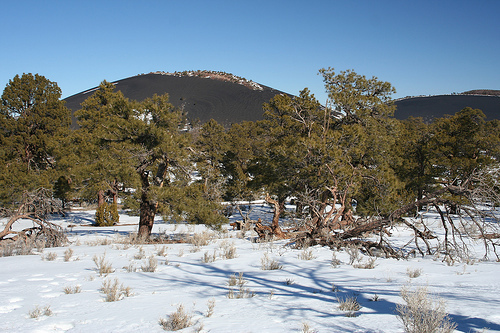 Flagstaff, Arizona, is a place worth checking out for its nature. Some of the parks have pretty strict restrictions on bringing your dog, but there are some nice off-leash dog park options in the city. 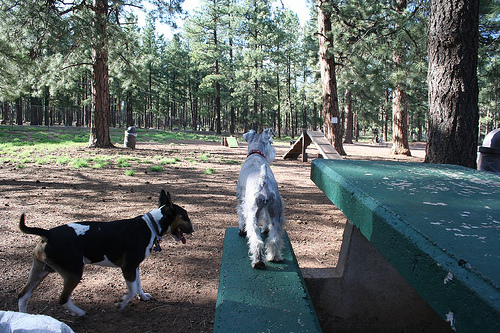 This fenced dog park takes up about 1.5 acres, and has a separate area for large and small dogs. Some people find this park a little hard to find, so have directions printed out. It snows in the winter, which some dogs like to play in. It’s next to a skateboarding park. This fenced dog park is about 1.5 acres in size. It is double-gated and includes benches, picnic tables and a water fountain. It has separate areas for large and small dogs and some agility equipment. People settled around here over 700 years ago, because there was water amidst this largely dry terrain. 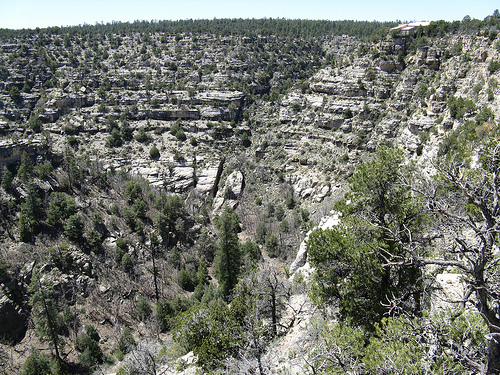 At this monument, there are cliff dwellings that are built into canyon walls. Leashed dogs can accompany you on the paved roads and the picnic areas, but not in the buildings or park trails. You can leave your dog in the car here for short periods of time, just try not to in the summer. This was the largest pueblo in the area around 800 years ago. Many different cultures came to meet here. However, there are few natural resources in the area, and the people had moved away after some time. Leashed dogs aren’t allowed on the trails or in the buildings, but are allowed in the parking lot and picnic area. This is one of the most diverse national forests in America, containing anything from red rocks to alpine tundra to Ponderosa Pine Forests. If offers lakes, canyons, mountains, creeks and streams. It takes up 1.8 million acres, and has all sorts of activities for outdoors enthusiasts. This forest allows dogs on its premises if they are leashed. Click here to read the rules, and find out where dogs are not allowed. This monument was created out of a number of eruptions that occurred between 1040 and 1100. These eruptions had greatly affected the people and territory around now-Flagstaff during that period of history. Some of the lava looks almost active. There are also many impressive trees, flowers and wildlife around the premises of the park. You can bring your leashed dog into the park areas but not onto the trails. It is also forbidden to leave dogs or other pets in unattended vehicles.